The Common Core ELA Writing Standard 8 requires students to navigate the Internet for research and evaluate the validity of the sites to support their claims. The introduction to this starts in Kindergarten and progresses each year. 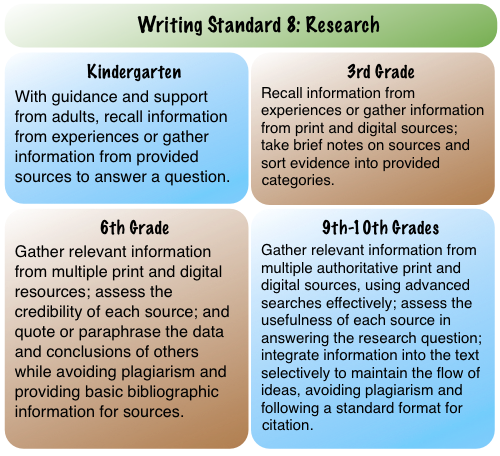 Furthermore, Common Core Writing Standard 7 has students conduct research projects, utilizing multiple sources. Therefore, students must be taught how to dig into the Internet to search, assess the validity of the site(s), and support their claims. Digging into Google by Tracy Watanabe is licensed under a Creative Commons Attribution 3.0 Unported License. Once students are able to narrow their search, they must evaluate the validity, credibility, and reliability of the site. Validity, Reliability, Credibility by Tracy Watanabe is licensed under a Creative Commons Attribution-NonCommercial-ShareAlike 3.0 Unported License. Keith Ferrell wrote about two sites that look real but are hoaxes in the August 2011 issue of ISTE's Learning & Leading. These fabulous lessons allow students to discover validity, credibility, and reliability are exceptionally important because anyone can create a website. The first site is about "The Tree Octopus" and the other is "All about Explorers." There is even a webquest on "All about Explorers." 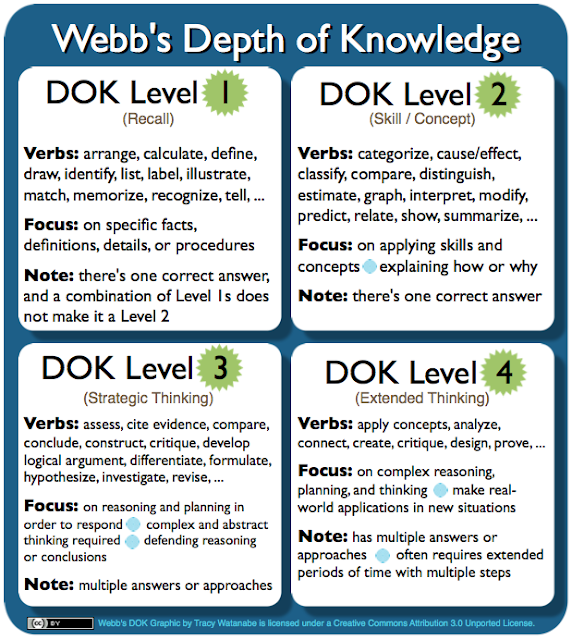 6th - 8th Grade Search Lesson on Jeff Utecht's blog, The Thinking Stick, is a great introductory lesson on doing research on the Internet. Eye on Education's What's Google Giving You? Evaluating Your Sources is a structured lesson that has students investigate the validity of sites. Using Google Scholar is awesome for scholarly research. It is located under the "more" and "even more" drop down on Google. It tells the author(s), publishing date, text, who else cites it, similar articles, and other sites that host it. Here is a Google lesson for using Google Scholar. If you want to learn more about searching and research, see Sheri Edward's post Teach Search Teach Research. Once students discern valid information on the Internet, they use it to defend their arguments / thoughts in their writing. They can do this through hyperlinks and proper citations. Whether or not students are converting to the Common Core, we are all in the 21st century, and searching the Internet is part of learning. These are skills that should be modeled and taught regularly. How do you teach your students to search the Internet for valid and reliable content? How do you teach students to properly cite sources? 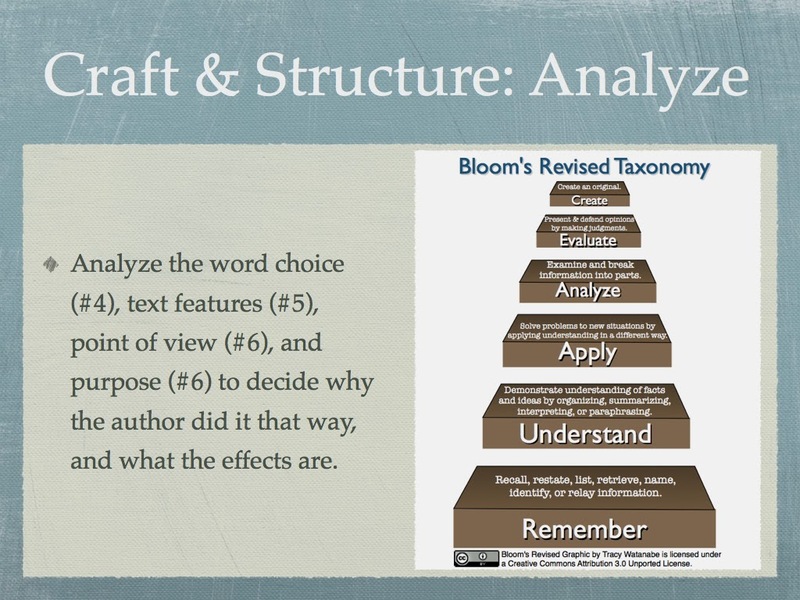 What necessary steps (or resources) are involved with teaching students to write from sources? Tracy - these are great resources! Did you design the images yourself? I would love to have them poster-sized! Thanks so much! Yes, I created them in Pages so I'm not sure how much larger I can get them. I will place a few sizes here for you. Hope that helps! Tracy - these are the types of skills our former Media Specialist would share with our students. But since that post has not been funded for several years, we find that we are working this into our curriculum. Your resources are fabulous and will really aid our efforts. Glad this helps! I know your kiddos get exposure to this often. Although, I wonder how much time teachers have invested in this. For those who believed they didn't have time in the past with all the standards they had to teach, I hope the Common Core will change this so it becomes part of the curriculum and not viewed as an "add on." Thanks so much for the terrific resources! I will be whispering a "thank you" to my friend as I work with my kids. Glad to share! Love what you do with your kiddos! Here's a strong post that nicely outlines the resources available to learn about the "art of Googling". 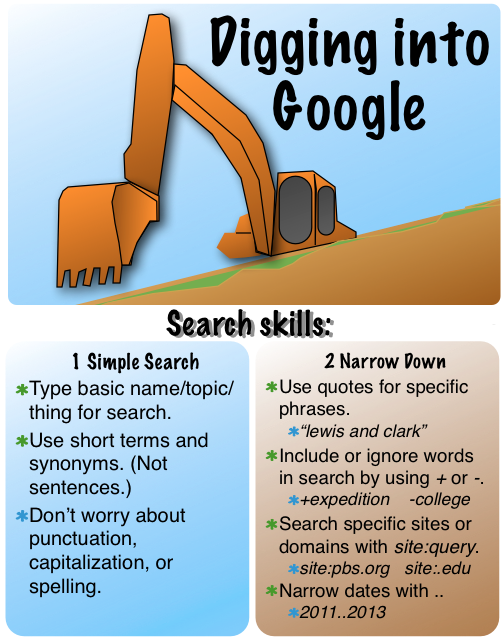 These are great resources and I know that in the near future I will try to have my 1st graders "Googling". My class has done research about animals through World Book Online and they absolutely loved it and were very engaged. As always, this post is so valuable. Thanks for sharing the posters about searching and validity and credibility. I will definitely be using these. One of my favorite strategies to help students do this important work is called "Read, Cover, Remember, Retell." It works better with print sources than web, but it goes like this. The student reads a paragraph or so of informational text (about a handful). Then they cover it with their hand, try to remember it and retell it. If they can't, they take a peek and keep trying. It's a precursor to doing research in my opinion. Sometimes I have students research for 2-3 periods and then the next day I have them write a first draft of their research with NO notes. I just want them to see how much and what kind of learning they really did. Then if they have a number or other details they need to look up, they can. I would rather have simple, real learning in their research than plagiarized regurgitation. This is such an important standard, in my opinion. "...paraphrase the data and conclusions of others while avoiding plagiarism and providing basic bibliographic information for sources." We also use Diigo to bookmark the sources where they get their research. Then it's easy to go back and make a Works Cited page from their bookmarks. Navigation is so tied into literacy today, and even more so in the future. We must be teaching it! Thanks again for a great post, Tracy! Thank you so much for contributing here! That's a great strategy for focusing on actual learning instead of "plagiarized regurgitation." It made me wonder what that would look like at a 2nd/3rd grade level, and then voila, Linda Yollis wrote a post about it. I also agree that Diigo is such a strong tool for research, annotation, and collaboration. Thanks, Denise, for your encouragement and contribution! As always thank you for having this available. We sometimes forget what to teach students when getting on the internet how much information is out there and what information is useful and how do we know what sites have validity, credibility and reliability. This is an eye opener and modeling ways to use the internet from the information you provided will make things easier for everyone. I will use these resources as my class and I dig deeper into researching on the internet. You are welcome! Please share back how it goes with your students, we'd love to hear and learn from your insight. Tracy - This is an excellent resource - will be sharing it in many ways. We teach a teen travel blogging class (http://www.wanderingeducators.com/intercultural-education/resources/wandering-educators-youth-travel-blogging-mentorship-program.html) and one of the most important classes, to me, is our class on online reputation management with Robyn Shulman, from EdNewsDaily. I do think, though that what you cover here is critical, and will be incorporating this into our curriculum. Our daughter (10) is speaking next week at a conference, on being a good digital citizen. I'll put this into her resource list. Thanks so much for leaving a comment and a link back to your blog. I agree, it's so important that students grow up learning about their digital footprints and how to cite valid and reliable sources from the Internet. Congratulations to your daughter for speaking at a conference at such a young age. That's fabulous! I recently found these Power Searching and Advanced Power Searching challenges from Google. I thought they would be great performance tasks for students to collaborate and demonstrate their learning. Hi there! I just wondered across your blog and really appreciate the way your have worded the questions under the "Who" section of your validity graphic. 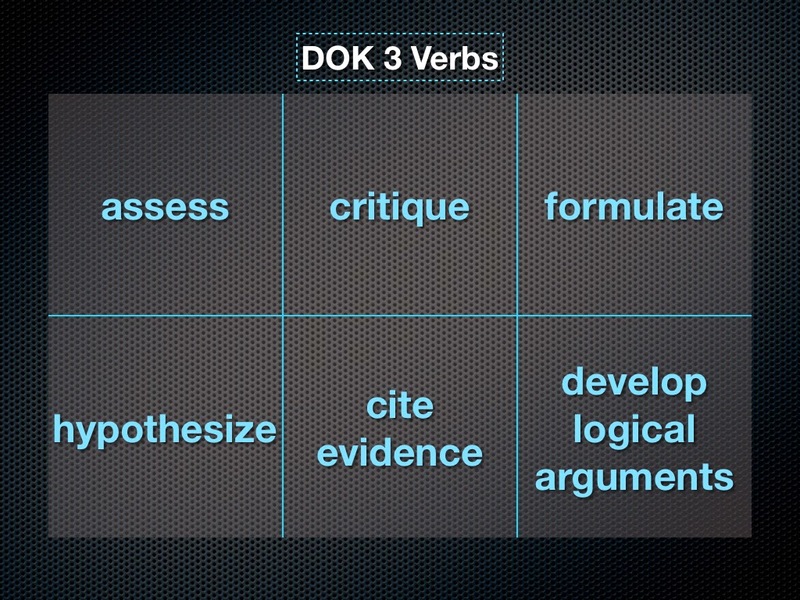 May I include these on a page I am creating for my students on this subject? Thanks for your response. You may absolutely use it! I just ask that you leave my name on it to model attribution to your students.